When the central government decided a healthcare reform was eminent, it set up a healthcare taskforce to look into the matter in 2005 for this purpose. This taskforce, or Rural Co-operative Medical Care System (NRCMCS), set itself an ambitious goal to make healthcare affordable to all its citizens, including the rural poor. NRCMCS re-examined the national healthcare costing structure and proposed a standard medical cost at 50 yuan (US$7) per citizen. Out of this amount, the central government would pay up to 20 yuan (or 40%), while provincial government would subsidize another 20 yuan, the balance 20% (10 yuan) are to be paid out of pocket by individual patient. The program was received favorably and it is believed that as much as 80% of the Chinese rural population signed up for it (that is a whopping 685 million people). The program is a location-based multi-tiered system. The relevant authorities would foot up to 80% of the medical bill if patients visit a local small town clinic or small hospital. If a consultation happens over at a county clinic, only up to 60% of the medical charges go towards the authorities. The subsidy drops even further if patients seek medical attention at a modern city hospital, with just 30% of the bill being subsidized. The ultimate objective the Chinese government is working on is universal health care. A draft towards that goal was recently published for the benefits of the public. Overall the preliminary draft underlines the importance of stable healthcare price, and the needs to secure greater health-care funding. The current system was said to be not inclusive enough as there is still large portion of its citizenry with limited access to healthcare or simply paying too much on it. 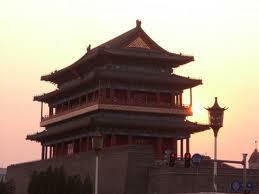 China, being one of the oldest civilizations, can boast of a proud medicine history. The central government is determined to continue further development on this particular field of medicine. Nevertheless, western medicines do not have to take a back step at the expense of continued promotion of traditional Chinese medicine by the central government. Western medicines first made its inroad into China when China opened its door for trades with international community. Since the late 70s, it has slowly gaining popularity and acceptance. This is evident by the fact that Western-trained physicians and pharmacists grew amazingly at approximately 250,000 in the 5 years span from 1976 to 1981. The local "barefoot doctors" are perhaps the symbols of rural medical practitioners, often offering medical advices and medicines at small fees. But the growth of China has hastened the speed for the rural areas to acquire wealth, and these traditional doctors are being sidelined to the more modern communal healthcare centers or county hospitals. This has led to worry that this trade is under severe threat and a real danger that these barefoot doctors may become extinct in the future. Another threat is that as modernization of the agricultural crops continues, more traditional doctors and practitioners have turned to farming, which is perceived as a better option for wealth accumulation. This consequently has crippled many cooperative medical programs. While some tries to organized health-insurance programs on voluntary basis but the professionalism is clearly lacking in terms of management. Surely, the public healthcare sector has suffered greatly due to the Cultural Revolution. But the Chinese government is determined to address the situation, through a slew of national programs that encourages healthier diets, especially in rural areas. The new epidemic control system in the country is also responsible to help China to turn itself into a healthier nation.